me feel so connected to them, like some kind of freaky time travel surreal experience in fact. Its almost as good as having the original dresses and garments they sewed, but which are now sadly long gone, given away years before any of us realised how much I would have loved to have them today. 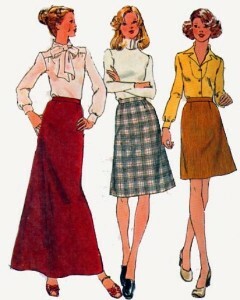 This skirt pattern has an amazing history. It’s the original pattern that my mother used in the 70’s to make herself some pretty awesome maxi skirts, long lost and gone, but that I remember her wearing as a child. 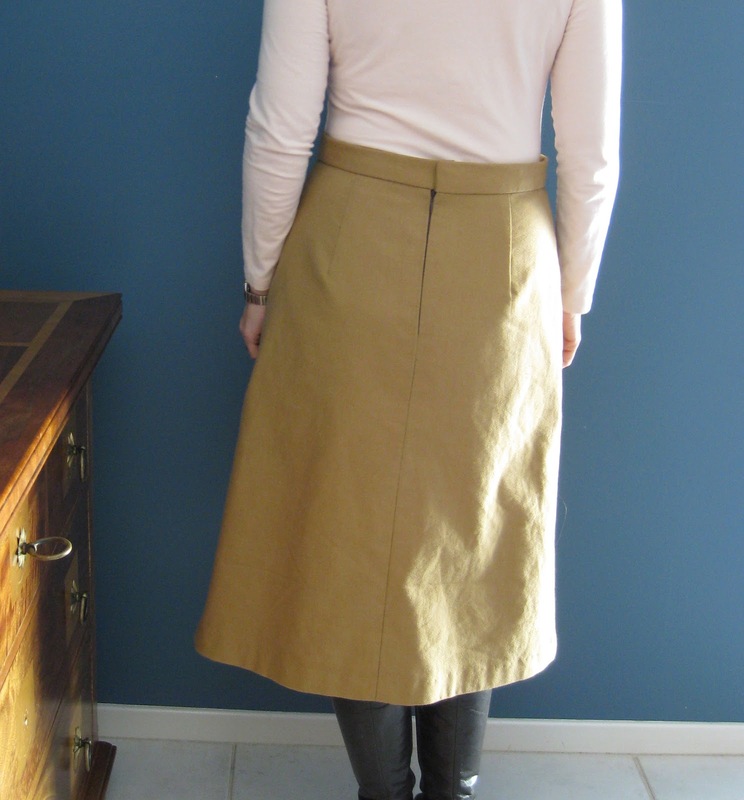 It’s a simple a-line skirt, with a back zipper. It is well drafted and easy to sew, and timeless. So, after finding this gorgous mystery fabric in the remnant bin at Pitt Trading last month, I knew it would be perfect for a midi length version of Simplicity 7142. I added a lining, because I am massively into the lovely feel of a fully lined skirt. I hand stitched the waistband and the hem. Its going to be a staple wardrobe item for this winter and hopefully many winters to come. Fabric: A heavy weight tan remnant of unknown content, possibly cotton blend, with a slight stretch from Pitt Trading = @ $1.00 for the piece. Lining: A chocolate brown lining from The Remnant Warehouse, Used about 1.5 metres = $2, but will be able to use left overs on another project. Notions: Invisible zip and thread from Spotlight = about $5 but thread I will use again. Total cost: Around $8.00. Not bad for a fully lined skirt.